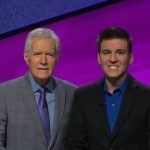 “Jeopardy!” player James Holzhauer – a self-described professional sports bettor in Las Vegas – has now won more than $460,000 in just eight games, which makes him the gameshow’s second all-time winningest player. Holzhauer’s historic streak has been unlike anything ever seen on the long-running syndicated trivia TV program. On April 9, he set the single-game record when he won $110,915. The previous mark – $77K – had stood for nine years. He finished last week by setting the second-highest win total with $89,158. Yesterday, Holzhauer began the week with another win, taking his eight-game win streak fortune to $460,479. Only “Jeopardy!” legend Ken Jennings has won more cash on the show. 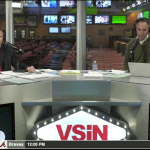 The Las Vegas sports bettor has a way to go to catch the record holder, as Jennings won 74 games in 2004 for a total haul of $2,520,7000. Holzhauer is accustomed to risk. Any successful professional sports gambler is, and the 34-year-old says every sportsbook in Las Vegas knows his name. Now, America does, too. 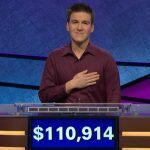 While there’s of course an element of luck in sports betting, on “Jeopardy!” Holzhauer is much more responsible for his fate. Aside from the board displaying a category one is well familiar, and finding the gameshow’s daily doubles, the smartest contestant usually comes out on top. Holzhauer has utilized the “Forrest Bounce,” a strategy in which the player jumps around the board selecting answers in an effort to keep his competitors on their toes. Along with the “Forrest Bounce,” Holzhauer reveals another key way he’s finding success on the television show. He says uninteresting topics are often made exciting in children’s books. 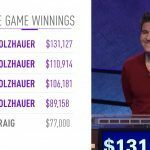 The highly publicized run of Holzhauer on “Jeopardy!” is the latest mainstream media event for sports betting. The US Supreme Court ruled in May 2018 that the Professional and Amateur Sports Protection Act (PASPA) ran afoul of the Constitution and its anti-commandeering interpretations. As a result, seven states – Delaware, New Jersey, Pennsylvania, Rhode Island, West Virginia, New Mexico, and Mississippi – have joined Nevada in permitting full-scale sports gambling. Numerous other states are moving towards legalization. However, in California where “Jeopardy!” is taped on the Sony Pictures lot in Culver City, the odds of sports betting being legalized seem long. Competing interests between card clubs, tribal casinos, and state politicians have the process at a standstill.